Next up, I dry-fitted the viewscreen’s backing piece to make sure it fit properly into the recess behind the viewscreen. 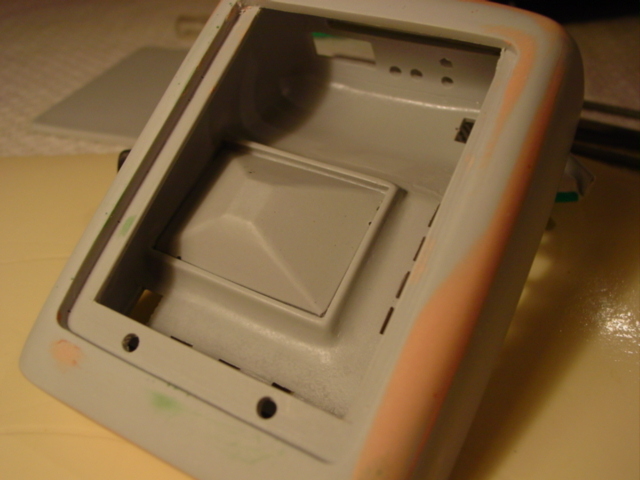 Some minor amounts of excess resin were carefully removed with a sharp xacto blade. As the picture shows, the piece fit with no problems after some minor trimming. My next step was to test-fit the electronics to make sure they fit properly, and that all the LEDs would fit in their respective places. This required some minor body-work, which I achieved with a sharp blade and some jewelers files. 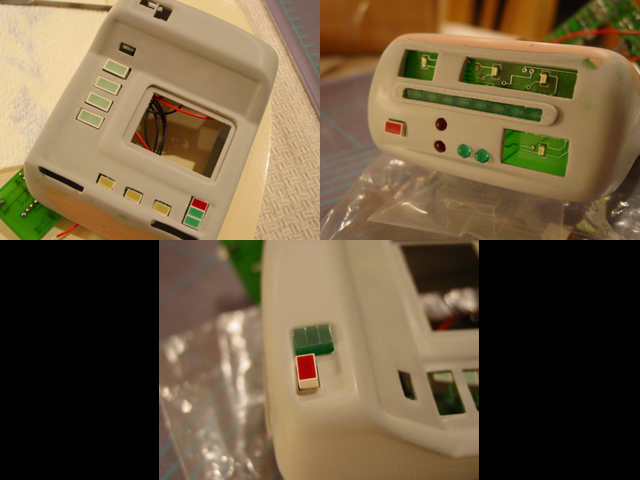 Lastly, for today, I aligned the lower flip-out door with the main body, so that both pieces sit flush when the tricorder is closed. This was accomplished by removing material from around the hinges so the two pieces would be properly aligned.